You bring up a very good point. It might be smart to branch out into suburbia or the country to harvest these things. That said, plants are excellent filters. I am probably not correct here, and I’ll have to look into it. I just remember when going to South and SE Asia that plants were some of the healthiest choices, even it the exceptionally dirty conditions. After yet another bout of Delhi belly a doctor recommended I start buying coconuts on the street to drink their water and eat their fruit. I had always been curious about this, but the street vendors were the dodgiest of the dodgy with their filthy knives, sitting around huge piles of garbage. I plucked up the nerve. Needless to say, I never got sick off of veggies and coconut in India. And with the amount of pesticides used on our supermarket veg, how do we ever know we’re safe anyway? Yael, it sure is wonderful to have them! I feel lucky to be able to identify them, now. 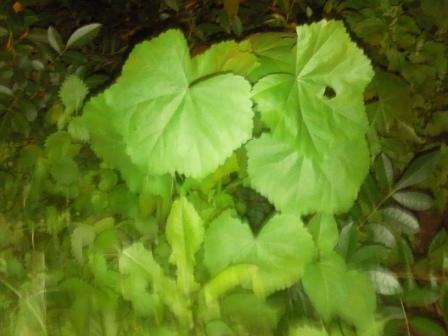 Walking down the street, I say to myself, look, there’s some sorrel, and there’s some mallow…like a game. I will try your mallow recipe first, I think. It seems to be the favorite. Sorrel is very easy to identify. 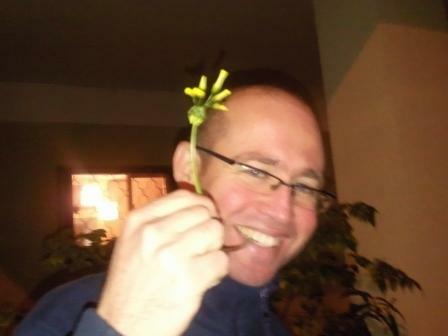 You have to look for very long thin stems with yellow flowers. The base will have very beautiful looking leaves, like flat hearts, almost like clover. You’re not going to poison yourself if you take a little nibble (and spit out if necessary). You’re looking for a very sour taste, best identified in that long thin stem. Mustard is a little harder, as there is at least one other plant that looks a lot like it. I started identifying them better when I realized that their leaves are always jagged, like sharks’ teeth…and one step further, the individual leaves have waves on the sides, like fingers (think of the fjords in Norway). Taste it, and if it tastes like mustard, you’re good. Maybe next time we meet I can point some out. Irene you are a gem! Every week its something new an exciting that makes my mouth water! I love it! I’ve never been a fan of sour (except when using lemon on fish), and I cant fathom how you would make a sour taste complimentary in a stew?!?! What kind of recipe and flavor blend are you thinking? I love the idea of this urban foraging, yum! Kimberly, it’s about little tiny zings of flavor. Not overwhelming. Think of a dark painting. It might be very rich with imagery, well drawn, etc. But if there’s not even a little bit of light, it’s hard to see all the beauty. Contrast. One makes the other better and vice versa. I dare you to add a tiny bit of shredded lemon zest to your next heart meat stew. It gets really soft, so don’t worry about a weird texture. Most people might not recognize it, but I really think it would shed some light on an old recipe. Even if it’s a favorite, as it is. That Salon Mazal event would have been fun to attend! For some reason, the sorrel (hamtzitz) I bought looks nothing like the clover-esque things in your photos. Nettle is another weed that’s supposed to be pretty good. Once I confirm that I haven’t made some sort of ID’ing mistake, I’ll try eating it. 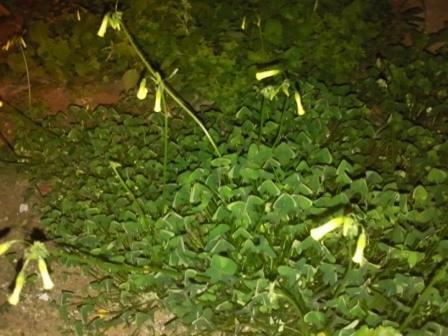 Regarding the pollution issue, I spoke to someone who noted that much of the mallow and other such greens in the markets are picked from the sides of fields — which are next to roads. Meaning, the stuff growing in cities may not be worse than many other greens we eat. Not sure if that’s comforting or frightening. Yes, the sorrel in the city is pretty much “baby sorrel, although I’ll need to do some research to see if might be another species. The stuff I buy in the market is much leafier – like spinach. I like nettle, too. It is spicy in tea, feels great going down if you’ve got digestion issues. I’ve never bought it raw, only been stung by in all too often when I was living in England. Let me know how it goes. While you are focusing on greens in this post, don’t forget about all the herbs that you can forage as a result of decorative plantings. I have never seen so much decorative use of lavender and rosemary as I have in Israel. 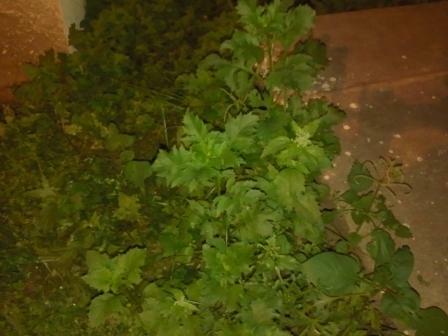 Now, since these are decorative, you may need the owners permission to take clippings if the plants are not on public property (or next to, such as on curbs or sidewalks). However, this shouldn’t be an issue given the long growing seasons. I am sure there are other herbs that are either wild or decorative that are ripe for the taking. This year I cooked extensively with mallow, nettles and chickory. 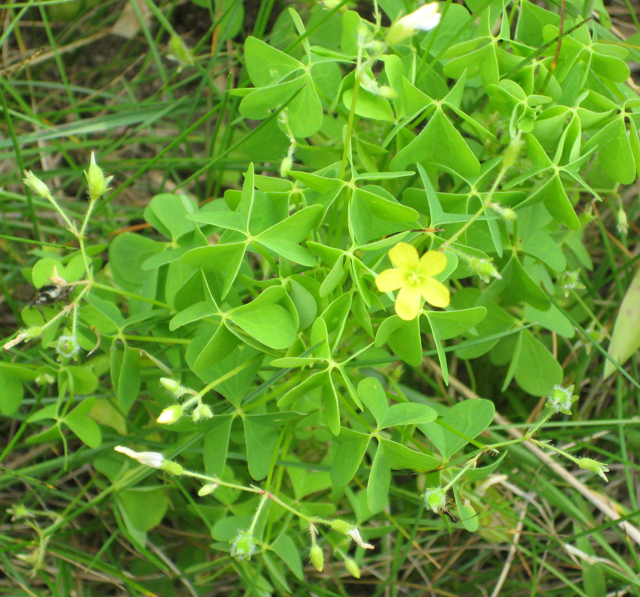 My sons always have a hamsitz (Oxalis pes-caprae) hanging from their mouths and my grandmother told me the Arabs she knew used to chop it up and put it in yogurt (like many other herbs such as za’atar). The sorrel Liz is talking about is a species of rumex a different family altogether (same as Rhubarb) but both share the acidic flavor caused oxalic acid.